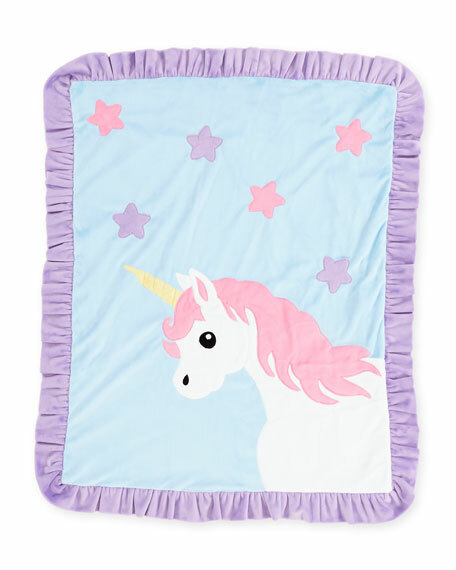 Plush Boogie Baby blanket with unicorn and star appliques. Ruffled contrast border; rounded corners. For in-store inquiries, use sku #2316444.